Beautiful Incentives: Free copy of homeschooling magazine! 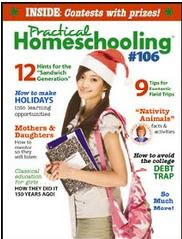 Free copy of homeschooling magazine! Click here to get your free copy of practical homeschooling!